The AVR 151S can connect to compatible Apple devices, such as the iPad, iPhone and iPod touch, directly via its front-panel USB jack, and play their content without the need for an external adapter. The AVR 151S also features Spotify Connect, which allows you to stream music directly from your Spotify premium account on your phone, tablet or computer. 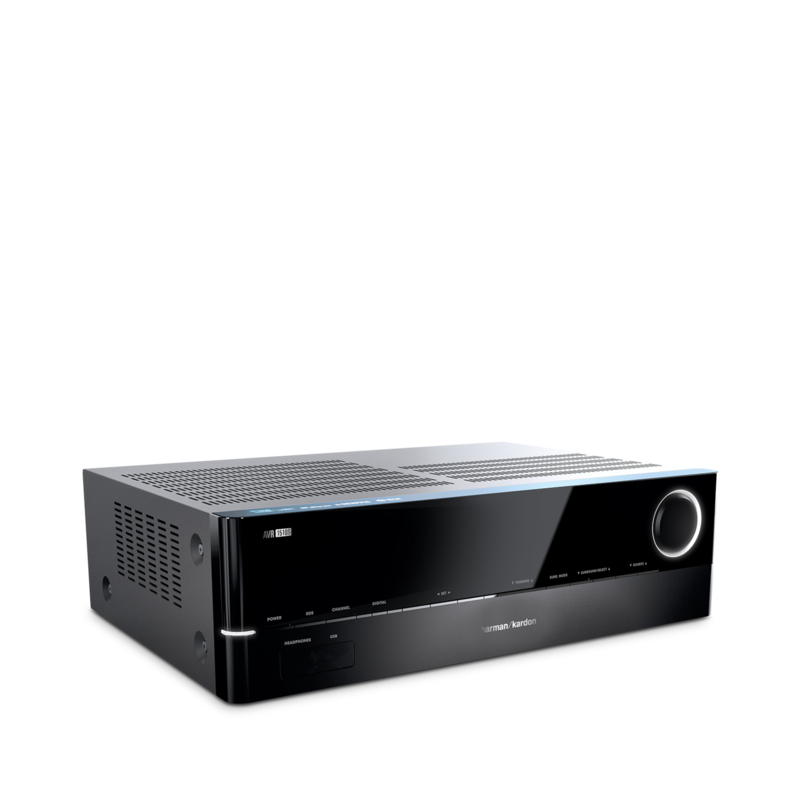 The AVR 151S features vTuner Internet radio technology to connect you to a whole world of online audio entertainment. As soon as it’s out of the box, you can stream over-the-air radio stations from around the globe as well as stream from a wide range of Internet-only radio stations. Four HDMI inputs with 3D and 30/36-bit Deep Color deliver high-definition digital video at resolutions up to 1080p with full-fidelity audio through a single cable. There is no loss of video or audio quality because of format conversion, just full-impact Hollywood excitement as its creators meant you to experience it. The AVR 151S gives you more options for audio playback with its front-panel USB port. Simply connect an iPhone, iPad or USB stick to play your stored tracks through your home entertainment system. 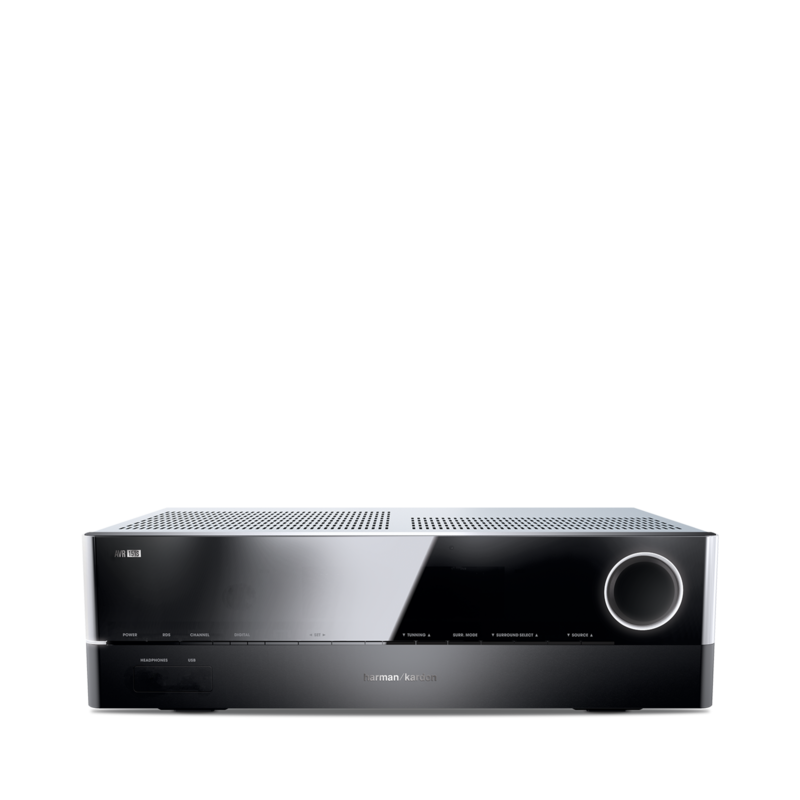 The AVR 151S delivers high-resolution audio that matches the digital video quality of Blu-ray Disc™ formats, unlocking the full potential of movie soundtracks formatted with Dolby TrueHD and DTS-HD Master Audio coding. No matter what mode or mood you are in, you’ll always hear audio playback at its finest. AVR 151S is rated 4.2 out of 5 by 17. Rated 1 out of 5 by Utilisateur from Problème télécommande J'ai acheté ce mois-ci ce modèle d'amplificateur Home Cinéma. Une fois reçu, le son à l'air assez bon (depuis un DVD), branchements très simples mais le branchement en USB en façade avec un iPhone 6S ne fonctionne pas malgré qu'il soit reconnu. Mais le pire est la télécommande très bas de gamme en qualité et surtout qui ne fonctionne quasiment jamais. Donc très difficile de faire les réglages à l'écran. Sans parler de l'environnement écran digne d'MS DOS des années 90. Je trouve cela inadmissible et indigne pour cette marque et l'ampli est presque inutilisable sans la télécommande. Quelle solution ? Rated 5 out of 5 by Alex2212 from Top Klangbild Hab die Anlage jetzt seit 2 Monaten, super sound schnell einzustellen! Obwohl hier geschrieben wird das der Googel chromecast nicht geht, bei mir läuft er ohne Probleme direkt über die Anlage! Ich bediene somit alles über Handy und die Originale Fernbedienung liegt im Schrank! Rated 4 out of 5 by opareini57 from top gerät, top sound, aber die programmierung vor einer Woche habe ich dieses klasse gerät gekauft. nur bin ich evtl. zu blöd die Programmierung und Belegung der FB zu erstehen. bin kein technikfreak nur ein nerd . Rated 3 out of 5 by Ruff from Peut mieux faire L'interface de navigation est d'un autre âge la télécommande n'est pas ne refléte en rien l'aura du constructeur. Vivement les mise à jour pour bénéficier d'une interface digne de ce nom. Rated 5 out of 5 by Maeki from Tstoon "radio" Kotiteatterivahvistemena on vastaava 161:nen ja tästä tuli toimiston "radio". HKTS11:sen Keskikai'utin näytönalle ja etuka'uttimet pöy'älle ja subbari pöy'än alle. Toimittaa oikein hyvin radion virkaa ja FM-virittimen vastaan otto ihan eriluokkaa pilipali pikkuradioiden vastaavasta. Etupaneelin napitkin tuntuu toimivan ihan loogisesti tässä käytössä. Vastaavasta 161:stä ei ole kotiteatterikäytössä juuri tarvinut etupaneelin nappeihin tutustua. Rated 5 out of 5 by JAUST591 from super sound Wahnsinnig gut!! Lohnt sich doppelt! ! Kann ich nur empfehlen! ! Hi. I would like to ask, that is an option to play sounds wireless with youtube app on andriod phone without bluetooth? I know that i can play sounds with Spotify via DLNA, but i prefer youtube. Thank you in advance. It is unfortunately not possible to stream YouTube music to the AVR, this is only possible when paired via Bluetooth. You would need either a smart TV with the YouTube app, a media player such as a Apple TV or Chromecast connected to one of the HDMI input ports on the AVR. If you would like any more information please submit a case request at https://www.harmankardon.co.uk/support-product.html and the Customer Service Team will be more than happy to assist you. Har et optisk kabel fra mit fjernsyn til min H/K 151s men der kommer ikke noget lyd fra fjernsynet. Hvad g&oslash;r jeg forkert? Hej og tak for at du k&oslash;bte Harman Kardon! F&oslash;rst og fremmest skal du kun bruge andet end HDMI, hvis dit TV ikke er udstyret med HDMI. Hvis dit TV ikke har HDMI, er optisk en fin l&oslash;sning. Men brug altid kun en digital forbindelse ad gangen! Dern&aelig;st b&oslash;r du kontrollere, om du har sat indgangen p&aring; din AVR151S korrekt. P&aring; side 29 i brugsanvisningen kan du f.eks. se, at HDMI Link skal s&aelig;ttes p&aring; OFF, hvis du &oslash;nsker at den optiske indgang skal spille. Hvis intet af dette hj&aelig;lper, kan det v&aelig;re ops&aelig;tningen af dit TV, som er forkert. Her m&aring; vi henvise til brugsanvisning og kundeservice for dit TV. Du kan ogs&aring; kontakte vores kundeservice, som kan hj&aelig;lpe pr telefon, chat eller email. S&aring;g att n&aring;gon svarat tidigare p&aring; att recievern inte hade n&aring;gon 4k-passthrough. Om man l&auml;ser p&aring; Elgiganten och Mediamarkt, vilka s&auml;ljer just denna modell, st&aring;r d&auml;r att den ska klara 4k. N&aring;gon som kan visa var det st&aring;r om vad som st&auml;mmer? Hej! Min basl&aring;da har helt pl&ouml;tsligt sluta fungera, den f&aring;r en signal d&aring; jag har p&aring; autostart p&aring; den och den lilla lampan t&auml;nds. Jag har provat att &aring;terst&auml;lla och att byta kabel, men det kommer fortfarande inget ljud ur den, vad kan ha h&auml;nt d&aring;? Hello.Play 4k video with 60fps with HDR? I have UHD player and Samsung TV with HDR. Hi, and thank you for your interest! No, this model cannot pass 4k material. If you look at the bigger models, they can pass 4k, but only self-produced or unprotected material, since none of them support HDCP2.2. Er det muligt at f&aring; surround sound via google Chromecast? Og hvordan skal det tilsluttes - skal chromecast tilsluttes TVet eller AVR151S ? Hej. Din Chromecast skal altid s&aelig;ttes i dit TV, men det er faktisk Google, du skal sp&oslash;rge. Det burde v&aelig;re muligt at f&aring; et surround-signal igennem til din AVR fra TV'et, og formaterne kan du se her: https://developers.google.com/cast/docs/media Hvis du ikke kan f&aring; digital surround til at virke, kan du bruge en virtuel surround. I just bought a AVR151S and it sgreat except the Spotify connection seems slow and audio cuts in and out at times like it has not buffered correctly...I have other internet speakers on the network that I can cast to and the work without lag..help!